Africa and particularly east African nations are well-represented among the bottom third of the FIFA rankings. Eritrea lie joint bottom at 206th, Djibouti sit 194th, while South Sudan, perhaps surprisingly considering their turbulent political history and recently awarded FIFA status, are a relative success story at 154th. However, while these nations may be among some of the least well-funded in world football, on the field their team kits burst with colour and originality, patterned with local symbols and insignia – giving voice to cultural pride and heritage in nations where unity and national identity are sometimes intangible goals. These kits are not produced by Puma, Nike or adidas, but by start-up AMS Clothing, and a 23-year-old university student in Australia. Luke Westcott is not your average 23-year-old. 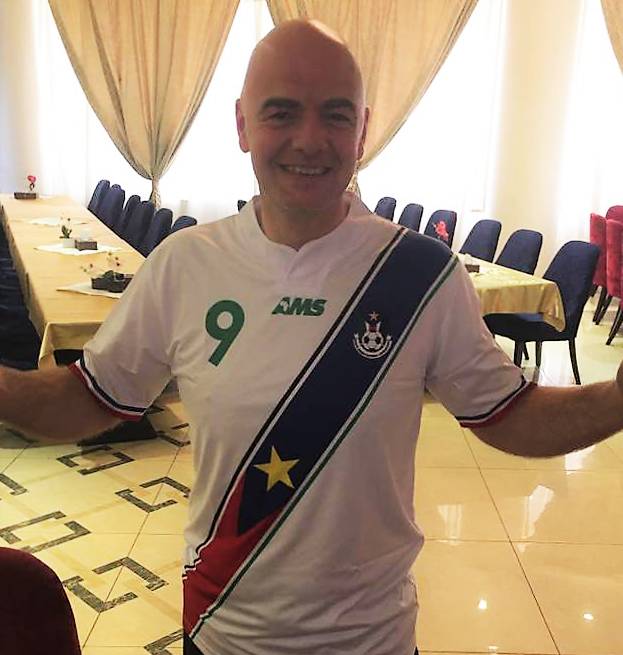 The Melbourne-based international business student, who grew up designing football shirts for fun on MS Paint, has already travelled to some of the world’s least accessible countries, met FIFA president Gianni Infantino, and designed and supplied some of the most eye-catching kits to a host of nations both in and outside of football’s governing body. “I always had a passion for sports jerseys and have been collecting national football jerseys in particular since I was in high school. To feed this obsession I starting buying and selling jerseys on eBay from about the age of 16,” Westcott explains. AMS Clothing was founded in 2014, with Westcott and his company targeting a perceived gap in the market – nations overlooked by more established brands. He began his quest with the Confederation of African Football’s (CAF) newest member South Sudan, whom he got in touch with, in true modern style, via social media. “I quickly put together some designs and got in contact with the president of the FA via Facebook,” says Westcott. The very first AMS kit was worn by South Sudan in their debut AFCON qualifier in May 2014 against Mozambique, and the Bright Star, as they are known, have been partnered with AMS ever since. 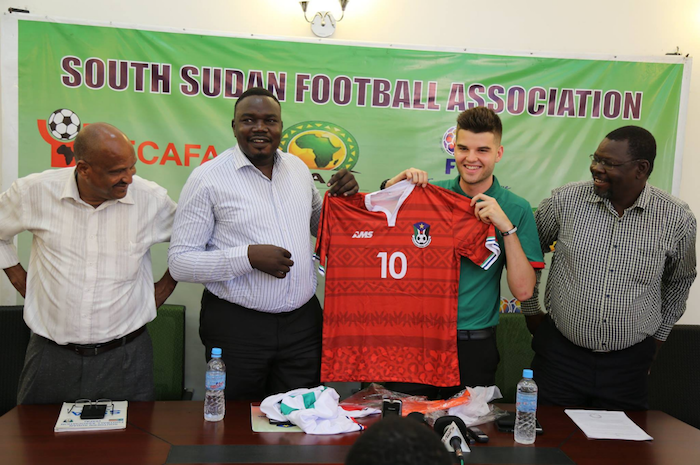 Today, Westcott’s association with the South Sudan squad goes beyond just being the kit supplier, also acting as a surrogate agent for some of the players, creating CVs and highlight reels, as well as managing social media for the FA. The international business student first travelled to South Sudan for the kit’s inauguration, along with some of the country’s Australian-based players, and effectively joined the training camp for a month in Juba, attending sessions and bonding with the players and coaching staff. At that game Westcott rubbed shoulders with visiting FIFA President Infantino, who is now a proud owner of the South Sudan shirt. The stand-out feature in all of AMS’s kits is the style. Deliberately steering away from the cookie-cutter look of many of the big players in the market, the kits feel authentic to each team while also being the sort of designs that would have football hipsters reaching for their credit cards. “As there are very few brands that make fully customised kits, most football associations don’t realise the possibilities of what their kits could look like if someone put in the effort of designing something special,” Westcott adds. Of all the designs, Westcott reveals that it is Sierra Leone’s patterned blue that has proved the biggest commercial success. However, the kit has a more poignant significance for Westcott. During the worst of the outbreak in 2014 and 2015, the national team were unable to host crucial Africa Cup of Nations qualifiers and forced to play at neutral venues. Although the majority of players were foreign-based, Westcott notes that they were quarantined during travel, and faced regular discrimination and chants of “ebola” from opposition crowds. Westcott live-streamed Sierra Leone’s qualifier against regional powerhouse Ivory Coast. Despite losing narrowly after going a goal up, the match proved the team’s quality and spirit in adversity. He hopes that the kit can act as a symbol of unification that the players and fans can wear with pride. The same is true for South Sudan, Westcott’s closest collaboration. “In a country that has been gripped by civil war and often split along ethnic lines, the national football team, which is comprised of players from many different tribes, is a crucial symbol of unity,” he says. What started out as university side venture has grown to become an unqualified success story, but Westcott has also learned the challenges and idiosyncrasies of working in certain parts of Africa. He cites classic examples of merchandise going ‘missing’ without explanation at customs, the problems delivering to locations without street addresses, and even officials appropriating kits in order to resell them on the black market. “Of course it’s never easy doing business with some of the world’s less developed countries. There are many considerations that need to be made that you wouldn’t even think about when dealing in more developed regions,” he adds. Westcott claims making AMS a fully African brand – achieving local, ethical production within the next three years – is the long-term goal of the company (the kits are currently produced in China), while he is also planning to grow stronger links with those currently outside FIFA’s jurisdiction. “We are aiming to work closely with ConIFA, the confederation that represents unrecognised nations that are not able to join FIFA. We are already supplying Barawa, Darfur, Western Sahara and Zanzibar, which are all ConIFA members and regions of Africa that have been unable to gain formal representation on the world stage. 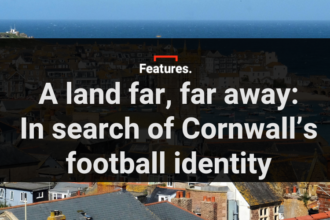 “By playing in international tournaments and having AMS supplying them with culturally symbolic kits, it provides a huge boost to the national pride of these regions that can now share their culture and heritage through football. 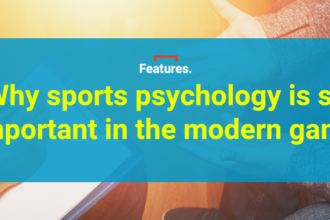 The business model is well laid out, but Westcott is aware that the nature of the regions in which he operates means things can change very quickly. The Eritrean national team, one of AMS’s first orders, hasn’t played since October 2015 when 10 of their first team players defected and were granted asylum on an away trip to Botswana for a World Cup Qualifier.